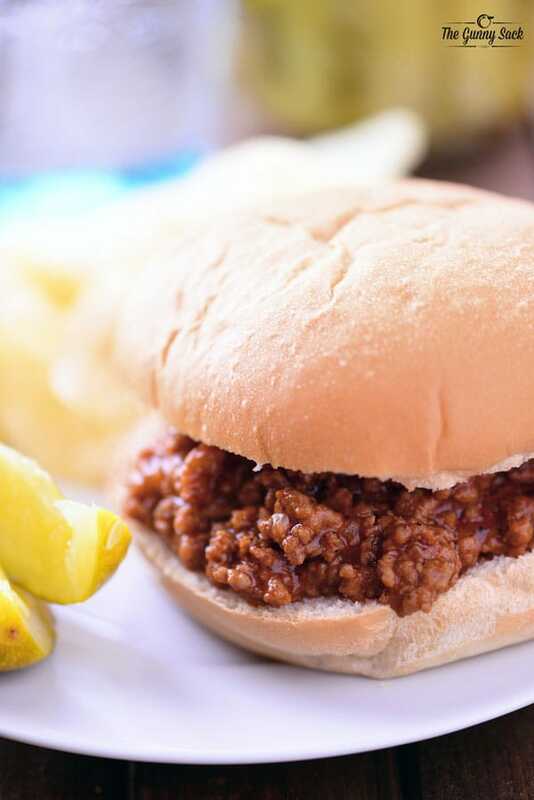 This Easy Sloppy Joes Recipe is a classic favorite of kids of all ages! Serve on toasted hamburger buns with potato chips and dill pickles. Last week I was asked to make a large batch of sloppy joes to serve to a group of volunteers. The thing is, I wasn’t sure how to make them and I don’t think I’ve ever made them for my family. 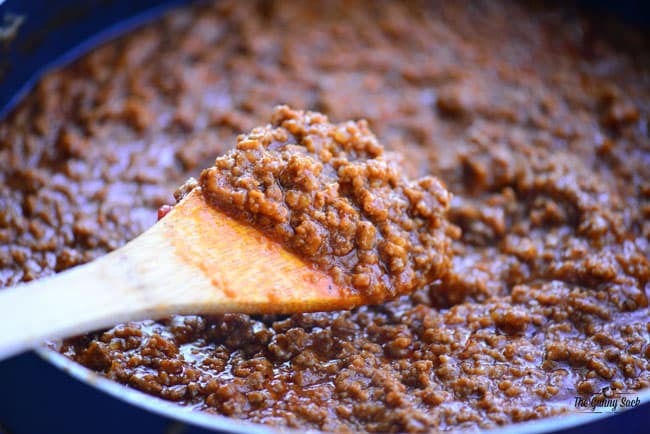 So, I asked my mom for her recipe and adapted it to make this Easy Sloppy Joes Recipe. 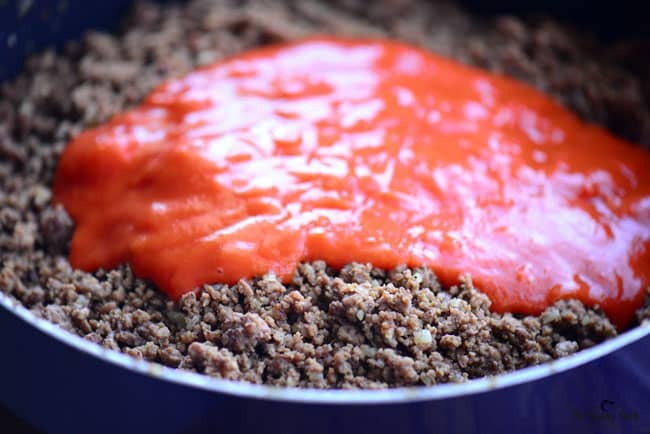 Start frying the ground beef in a large skillet. Once it is broken into pieces, stir in the mustard, brown sugar, minced onion, Worcestershire sauce, seasoned salt, and black pepper. Fry the ground beef until it is browned and drain off the extra grease. Return to the burner and add tomato soup, ketchup, and water. Stir and simmer over medium-low heat until thickened. 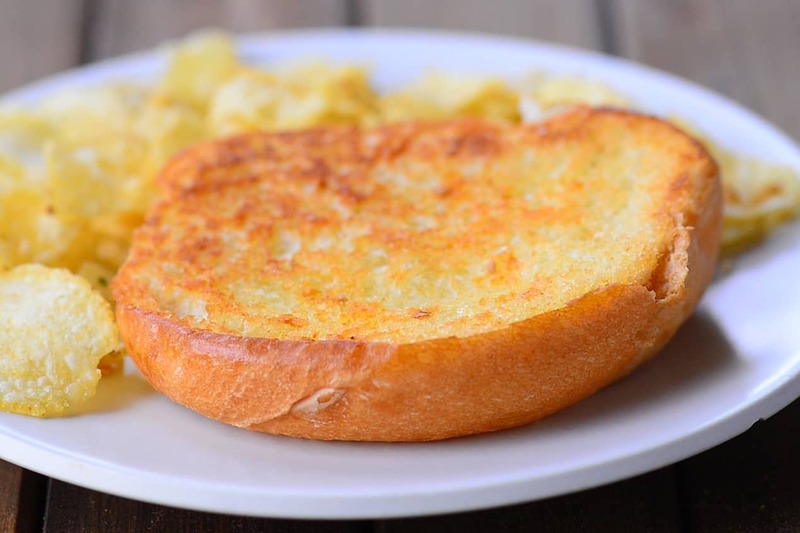 If you have time, toast the buns before making the sandwiches and it brings them to a whole new level! I made these sloppy joes on Saturday morning so that they would be ready to serve for lunch. I finished up about 10:00 AM and my kids were all hanging around the kitchen wanting to eat them for breakfast! Luckily, I made extra and my kids were about to have one and I still had enough for the volunteers. Since I discovered that all three of my kids love these sandwiches, this Easy Sloppy Joes Recipe is going into our regular menu rotation. Corn Salad: This Corn Salad recipe is a creamy combination of fresh sweet corn, colorful peppers, and ripe tomatoes! It is the perfect summer salad for potlucks, picnics, and barbecues. Fresh corn salad only takes a few minutes to mix up and can also be served as a party appetizer as a dip with chips. Strawberry Jello Salad: This fluffy Strawberry Jello Salad recipe is perfect for every occasion from summer barbeques and holiday dinners! It is a dessert salad that everyone loves. How To Cook Corn On The Cob: Wondering how to cook corn on the cob? 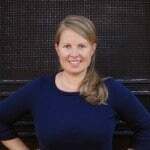 We’ve got you covered with recipes from grilled to oven roasted and with or without the husks. Peanut Butter Bars: These Peanut Butter Bars are dangerously easy to make with just a few ingredients you probably have in your pantry right now. These no bake peanut butter bars are creamy, crunchy, and perfect for all of the peanut butter lovers! Start frying the ground beef in a large skillet over medium-high heat. 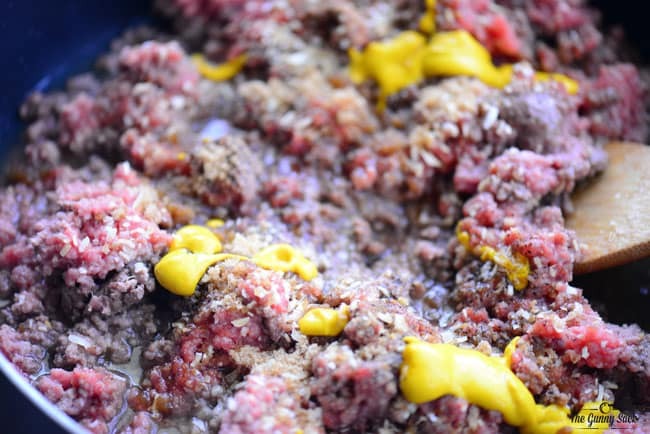 Once the ground beef is broken into smaller pieces, stir in the mustard, brown sugar, minced onion, Worchester sauce, seasoned salt and black pepper. Fry until browned and drain the excess grease. Stir in the tomato soup, ketchup and water. Turn heat to medium-low and simmer for 10-15 minutes, until thickened, stirring often. Everyone loved this recipe! It was not so soupy that all the meat fell out of the bun, It has great flavor. I will add this to my recipes today! I tried a few different recipes before I found this one, but they were just ok. This one is so good my search is over! The kids love it and so do I. Only thing I did differently was put a tad less brown sugar. Fabulous! I’ve made these sloppy joes twice recently. Once for my family and a second time to bring to a family whose mom is sick with pneumonia. They are our favorite! This looks fabulous! I can always go for a good sloppy joe!